When surface area matters, this filter will do the job. 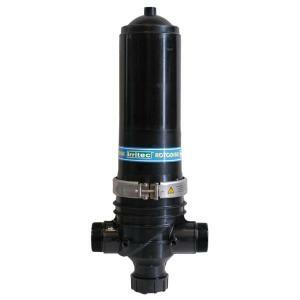 This filter comes with the attachment points to mount pressure gauges for easy and accurate monitoring of inlet and outlet flows. This filter will work in low flow systems with only 3 PSI of pressure loss. Made of chemical resistant polyamide, reinforced with fiberglass for long lasting durability. Can be installed in-line or angled for easy cleaning access.